Syria is a country of fertile plains, high mountains and deserts. Countless invasions and conquests through history means Syria is now a mosaic of cultures, ethnic groups and religions. Allah, Glory be to Him, refers to this land (as part of ash-Shaam) as a blessed land due to its harvests and the abundance of Prophets that walked on its soil. In May 2011, following uprisings in the Maghreb, protests broke out across Syria. The response by the authorities was brutal however and has led to a terrible situation for country’s people. The civil strife has turned into civil war. Hundreds of thousands have been killed, tortured or have disappeared. Thousands more have been displaced, fleeing to country’s outer borders. 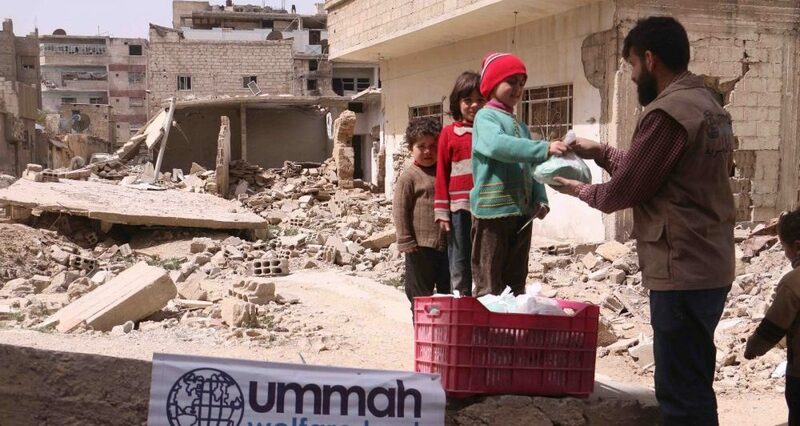 Ummah Welfare Trust has been supporting displaced families inside the country, providing food, non-food and medical supplies.